Looking at the Search Engine market shares for October there really are not many surprises. Unlike the USA – Yahoo in Australia has never commanded much of the search queries generated whilst Google has been around. Even with the Yahoo7! partnership and limited TV advertising Yahoo receives this has not impacted their search market share at all. 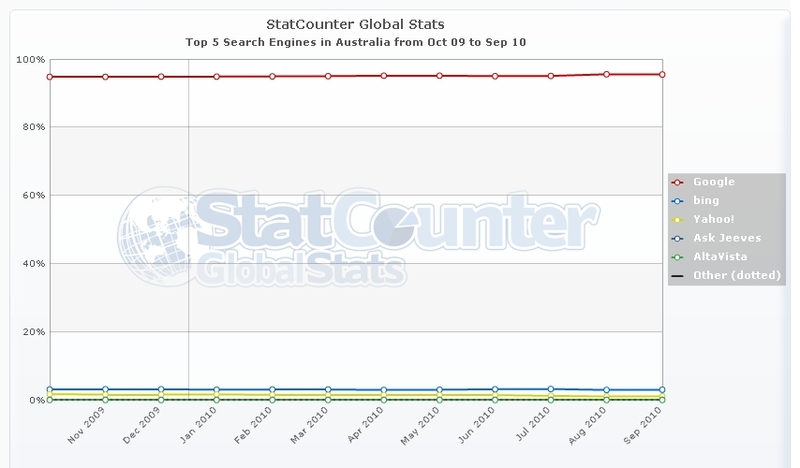 Yahoo is currently holding around 1.3% of the search market in Australia. Bing consistently holding around 3.2% and Google around 95% of the search market.